Google's secretive project 'SkyBender' is currently testing solar drones that will have the ability to beam data 40 times faster than 4G. According to a leak revealed by The Guardian, Google is secretly testing solar-powered drones that will have the ability to deliver data 40 times faster than 4G. The tests are being carried out at New Mexico's Spaceport Authority and the drones reportedly use millimeter wave technology to transmit data. The secretive project has been codenamed SkyBender and Google is using 15,000 Sq Ft of space to house the drones at the Gateway to Space terminal designed by Richard Foster. The tech giant also has its own flight control centre, seperate from Spaceport's terminals. The SkyBender system is using an "optionally piloted" aircraft called Centaur along with solar-powered drones. The drones have been developed by Google Titan, which is a collaboration between Google and Titan Aerospace. The SkyBender project is yet another attempt by Google to deliver internet through unmanned aerial vehicles across the world. The company is also working on beaming the internet through floating air balloons under 'Project Loon'. Project Loon is Google's ambitious plan to provide internet to remote and disconnected areas with ease. In light of Google CEO, Sundar Pichai's visit to India in late 2015, IT Minister Ravi Shankar Prasad had announced that the Indian Government is in an in principle agreement to pilot Google's Project Loon. Prasad also spoke about a partnership between Google and BSNL for the proliferation of Project Loon to remote areas in the nation that have low connectivity. 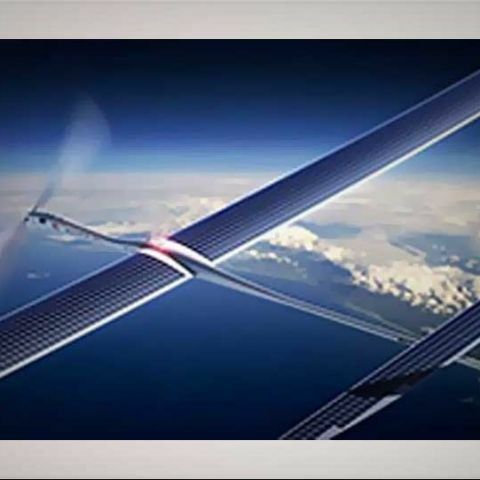 Facebook is also working on a solar-powered fixed-wing aircraft called 'Acquila' to provide internet connectivity. The Aquila has a wingspan of a Boeing 737, but will weigh less than an average car. Being lightweight is extremely important as this propeller driven aircraft will be powered using solar panels and is expected to stay airborne for about 3 months. It is now for us to see how tech giants of the world slowly take charge of expanding internet connectivity to remote areas. Let us know what you think of Google's and Facebook's plans of becoming internet service providers in the future. how internet is different from Networking?